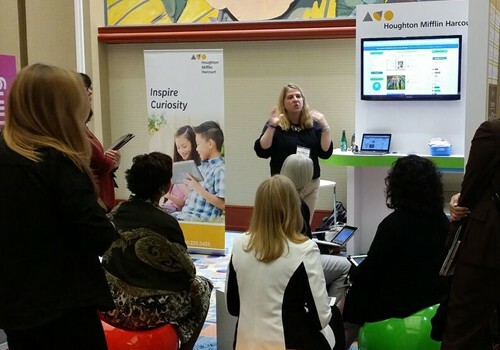 Over the past few years HMH has taken an innovative approach to educating their sales team about products by using the SCANTrivia application as part of their Digital Showcase. 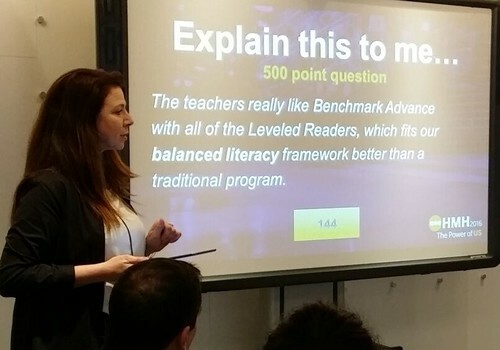 SCANTrivia provides gamification that prompts user engagement as they earn points for product knowledge. SCANTrivia was first introduced to the HMH conference in 2015 and it was well received as it produced over 16,000 total interactive impressions during the 3 day event. 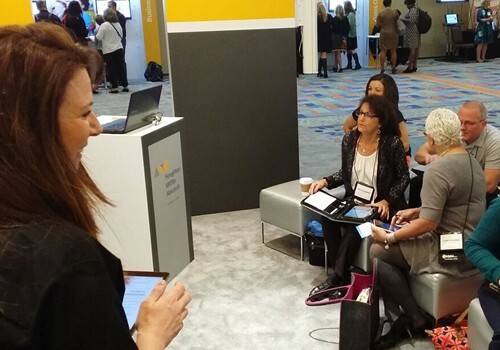 At this year’s 2016 conference HMH had new goals which included live polling during the sessions as well as improving sustainability by incorporating an event app. 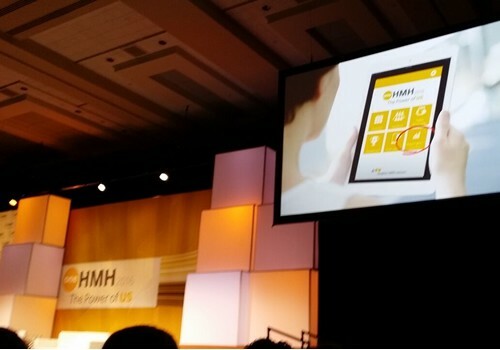 The 3GearsUp platform was able to meet HMH’s goals with an application that supported gamification along with live polling during sessions and in the Digital Showcase. Presenters found value in accessing real time data from the live polling information provided by the audience. 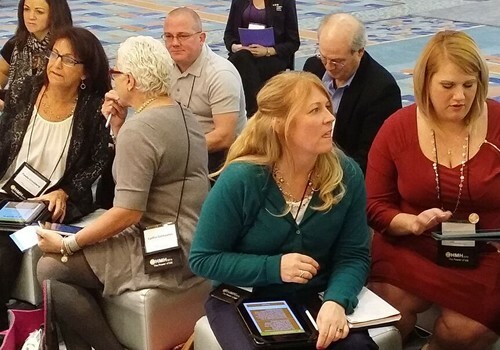 “This was the first time HMH has gone paperless for the conference and used a conference app and it has been amazing,” stated Joan Warrick, Senior Product Manager for HMH. 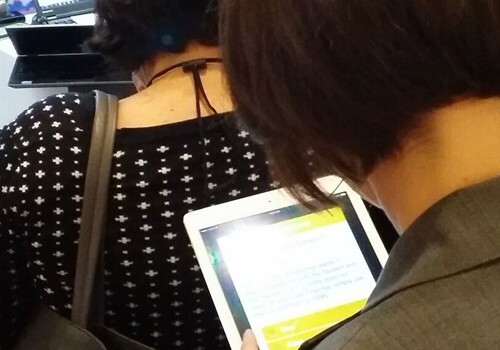 “While running my presentations I’m using the live polling feature of the app and the data that it's giving me at the touch of a screen which allows me to adjust what I’m presenting on the fly based on the audience input. I ask a question and get the feedback and then based on the feedback I can adjust what I’m telling about the product I’m showcasing. 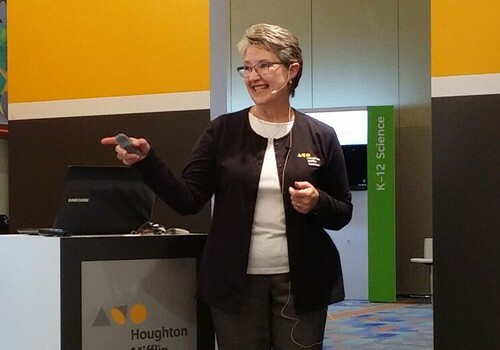 It has been incredible to have access to that kind of data at my finger tips,” she continued. The live polling feature was also used during their year-end report session where the sales team was able to grade the performance of the Vice President of Global Sales at the end of his presentation. The attendees recorded their responses in the mobile app and the results were shared instantly on the screen. 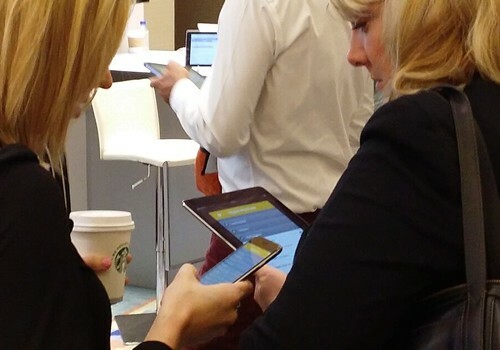 "This was the first time HMH has gone paperless for the conference and used a conference app and it has been amazing!"